Get Out Greenville is a celebration of all that Greenville County and Upstate South Carolina has to offer to the outdoor enthusiast. 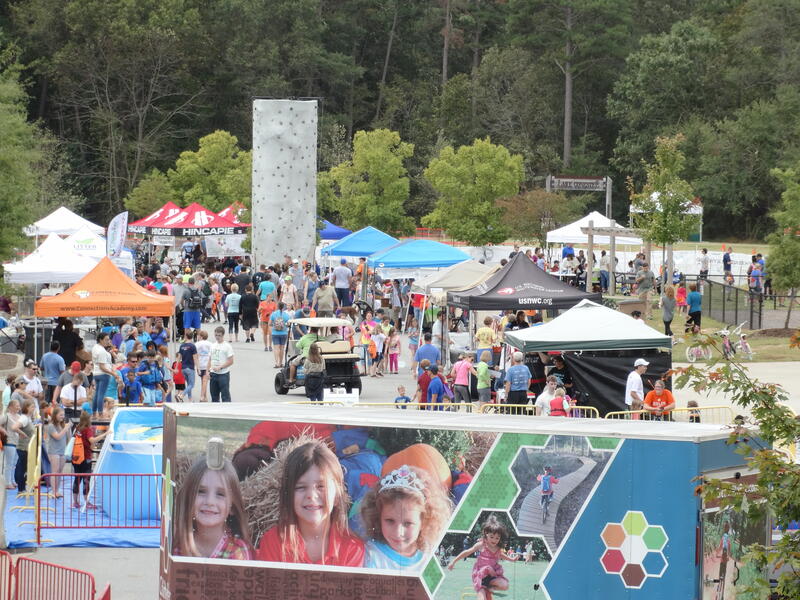 This family-friendly event features paddling pools, rock walls, disc golf, a variety of running and cycling racing events that you can enter or watch, great food, music, and a vendor village with useful free giveaways. It's quickly become a "first Saturday in October" tradition to Get Out! Greenville.